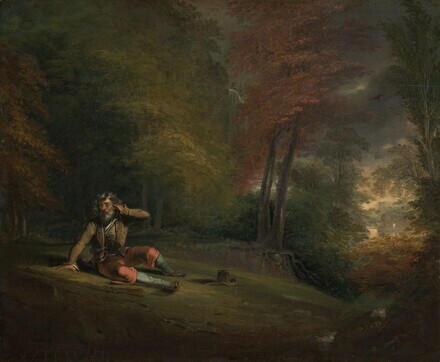 (Sale, Shannon's Fine Arts Auctioneers, Milford, Connecticut, 29 October 2015); purchased by (Godel & Co., New York) for William H. and Abigail Booth Gerdts, New York; gift 2018 to NGA. Per documentation from Abigail Booth Gerdts provided with the gift, in NGA curatorial files. [Annual Exhibition], American Academy of the Fine Arts, New York, 1823, no. 115. [Henry Inman Memorial Exhibition], Art-Union Rooms, New York, 1846, no. 102. Catalogue of the Fifth Exhibition, Albany Gallery of Fine Arts, 1850, no. 91.